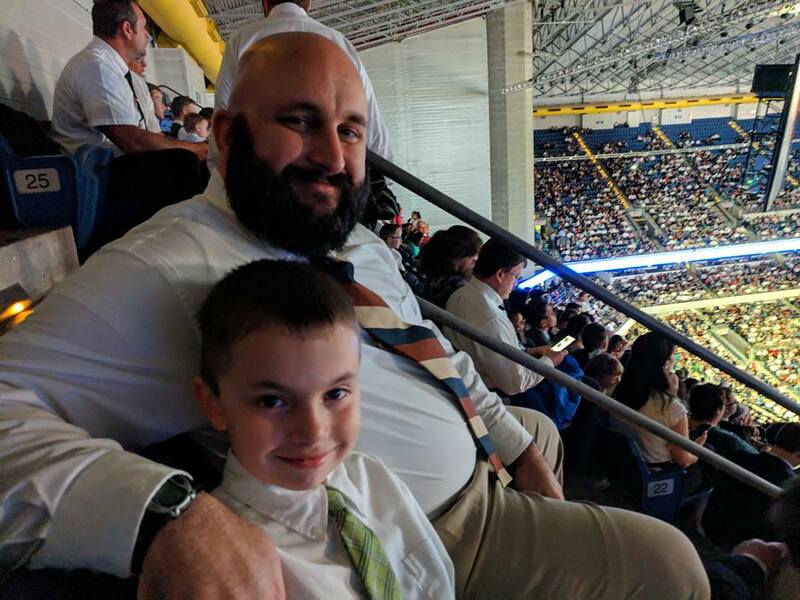 Weekly Happenings: This past week started off with a pretty momentous occasion. 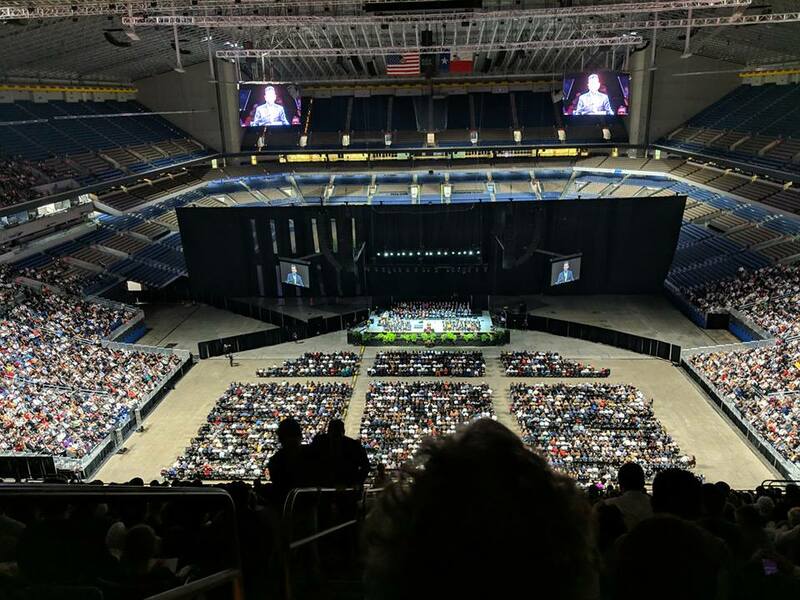 We were able to go to the Alamodome and see President Nelson (the prophet and president of our church), Elder Bednar (a member of the Quorum of the Twelve Apostles for our church), Elder Ochoa (a local leader for our church), and all of their wives speak. Even though it was a bit crazy (there were almost 24,000 people there), it was so great. The spirit was very strong and it made an impression on all of us (well, maybe not Abigail, but that was to be expected). Elder and Sister Ochoa both shared their conversion stories as well as their testimonies. 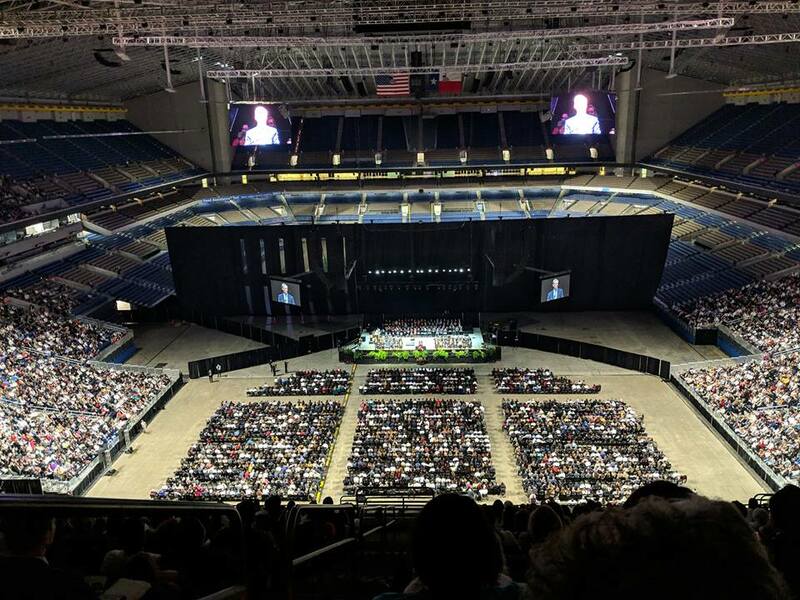 Sister Bednar talked about some things she learned from a time they lived in Texas that she related to the Gospel (I don’t remember all of them, but two of them were to find joy and to always try to be a good representative of the Gospel). Elder Bednar talked about being fully committed to the Gospel. 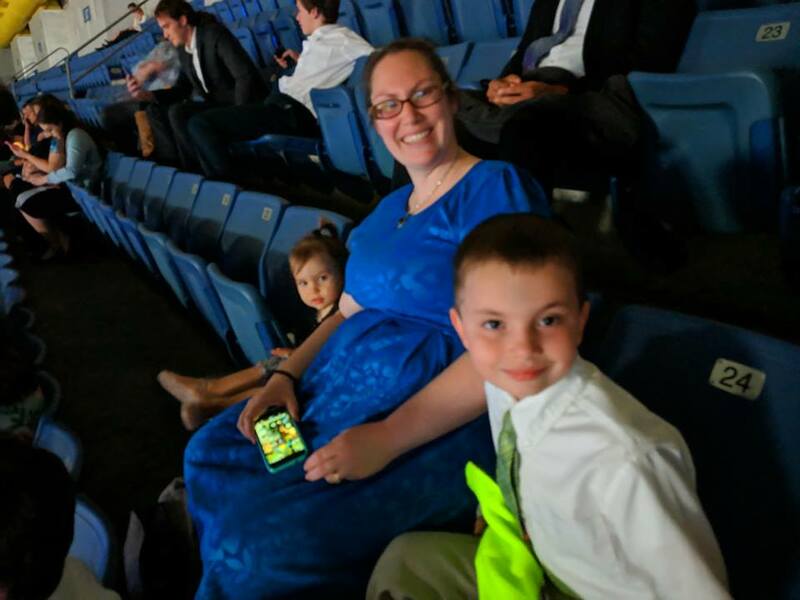 Sister Nelson talked about what it’s like to be married to the prophet (and about how he receives revelations at all hours of the night sometimes 😊). 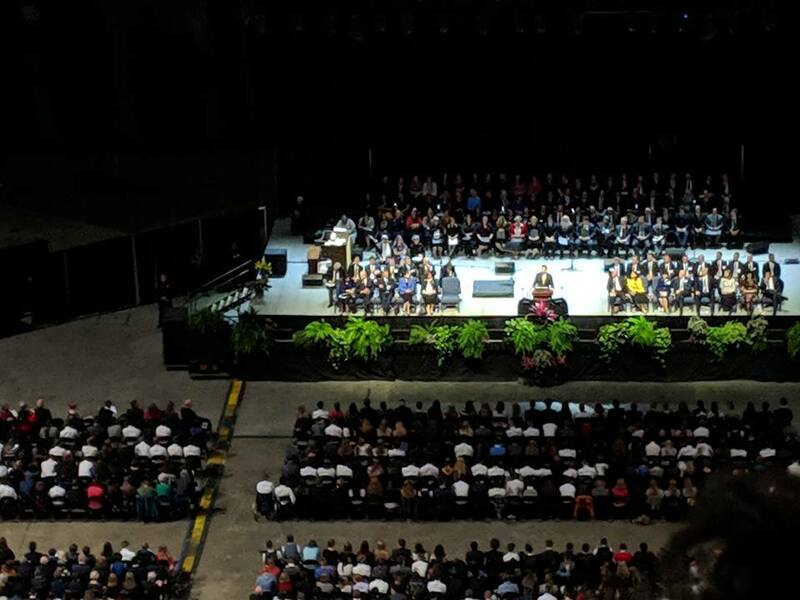 President Nelson talked about how we all have challenges and limitations and how we need to be patient and trust in the Lord during those tough times. The choir sang one of my favorite songs: It Is Well With My Soul (the Mack Wilburg arrangement). It was a wonderful night! I found a pretty good article about the even which you can read more about here. After that night, the rest of the week was pretty average, with the exception that it ended with Thanksgiving fun (we went over to our bishop’s house and enjoyed the meal with them and another family) and getting to put up Christmas decorations. I love this time of year! The Weekly Weather: Brisk, dry, and mild. Typical late fall weather for us! What Paul’s Been Up To: Aside from work, he was pretty busy not only helping to put up our home decorations (he always tackles the outside) but he also helped to put up the neighborhood decorations as well. I think he’s looking forward to relaxing the rest of the day and tomorrow! 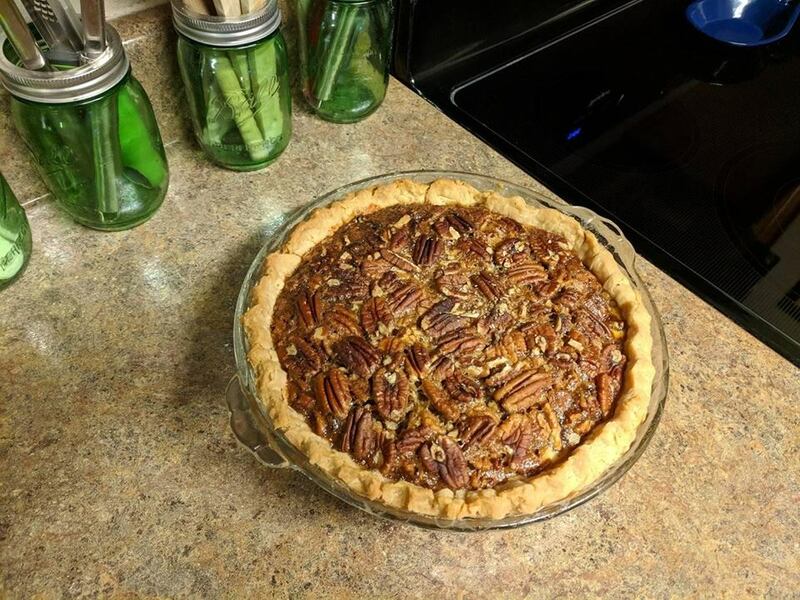 What Sarah’s Been Up To: I made my very first pie completely from scratch for Thanksgiving and it turned out great! As for Christmas stuff, I had the fun task of getting to decorate the inside. It’s always fun to see the kids’ eyes light up as stuff comes out. Abigail kept saying, “Wow! Wooooah!”, which was fantastic for my momma-heart to hear. 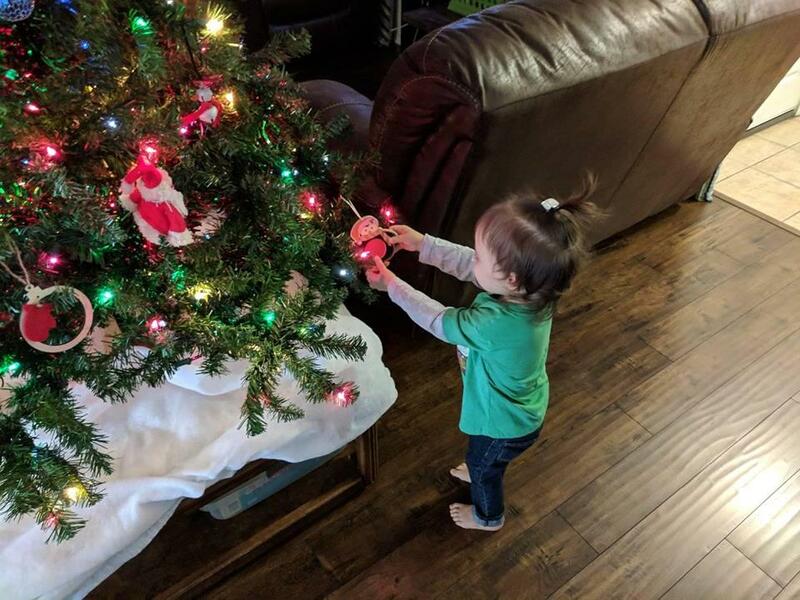 What Joseph’s Been Up To: He enjoyed having a short week at school, loved getting to play with friends on Thanksgiving, and really soaked up some “Momma-Joseph time” when we got to decorate the tree last night after Abigail went to bed. 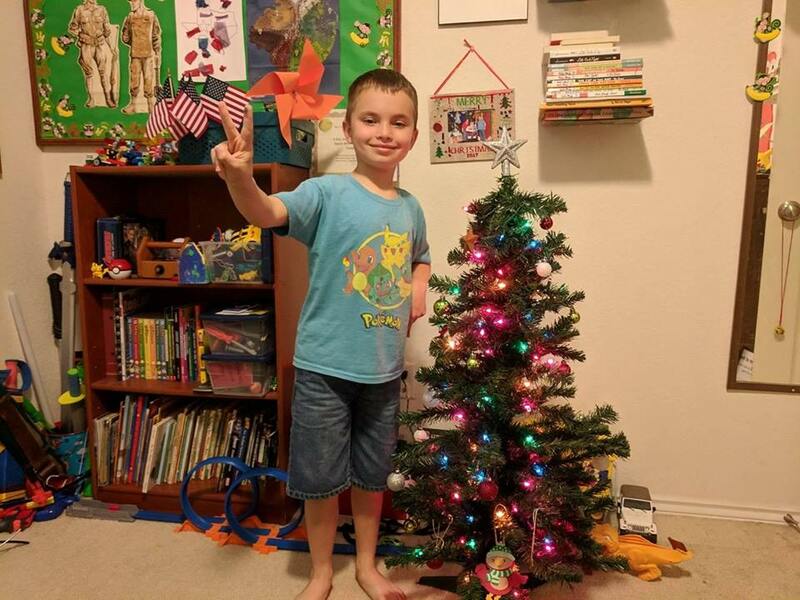 Oh, and he absolutely loved getting to put the mini tree up in his room. What Abigail’s Been Up To: She’s been quite the ham this week. She also surprised me the other day. When I told her that it was nap time, she got pretty upset and cried out, I kid you not, “No! I no tired!” Yup. A full-on sentence (a bit garbled, but I could tell exACTly what she said). 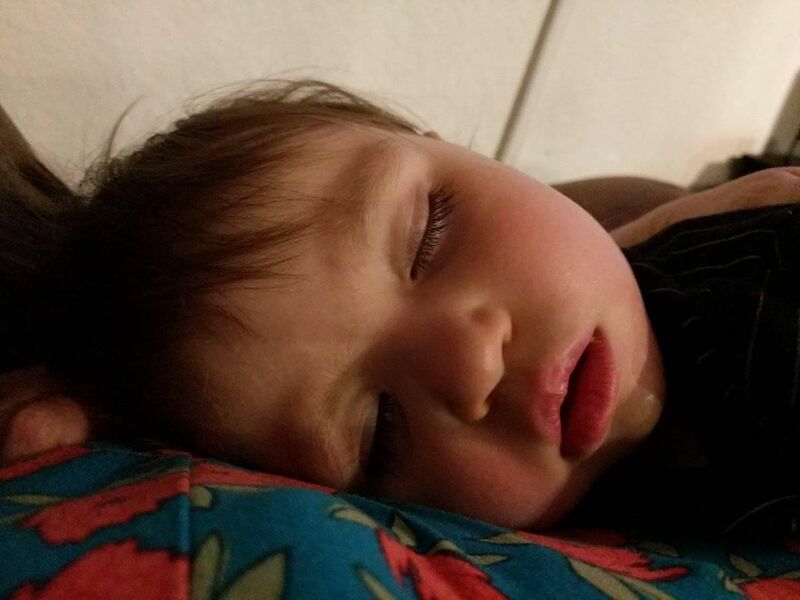 Once I got her calmed down, she ended up sleeping for two and a half hours, so I guess she was tired after all. 😉 This morning, she popped up in her crib when I went to get her up for the day and the first thing that flew out of her mouth was, “Tree? Tree? !” She’s in love with the Christmas tree. Her favorite ornaments (that she’s allowed to touch, ha) are a little mailbox one, a wooden reindeer one (that she calls a cow), and a red satin one (I can’t really fault her there; it is pretty shiny and soft). Sometimes one wakes up before one is ready. Luckily, there is usually a Momma to snuggle with when that happens! She’s constantly on the move, but I had to snap this picture. 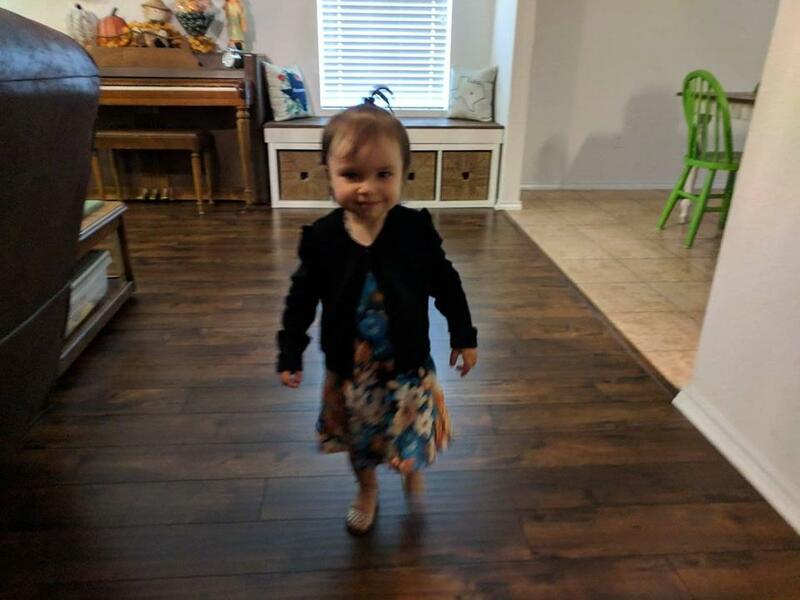 This is one of my favorite dresses on her and the little cardigan just pushes it over the edge! 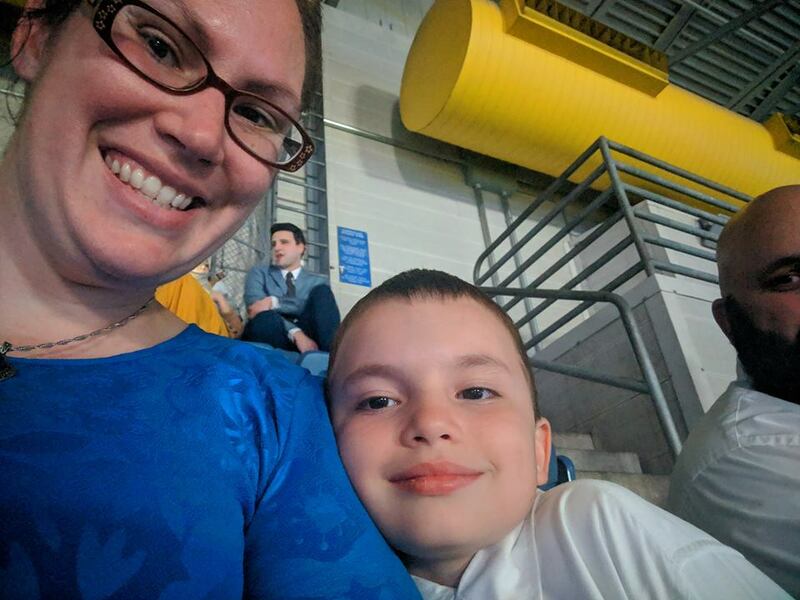 Waiting for the devotional to begin. 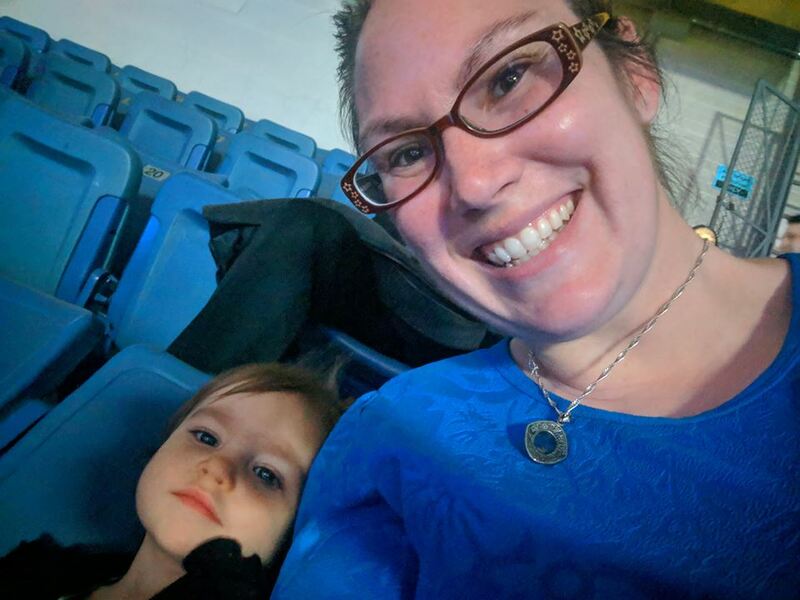 Abigail was rather intrigued with the seats (even though she did get slightly stuck a couple of times). I sure love this little boy! 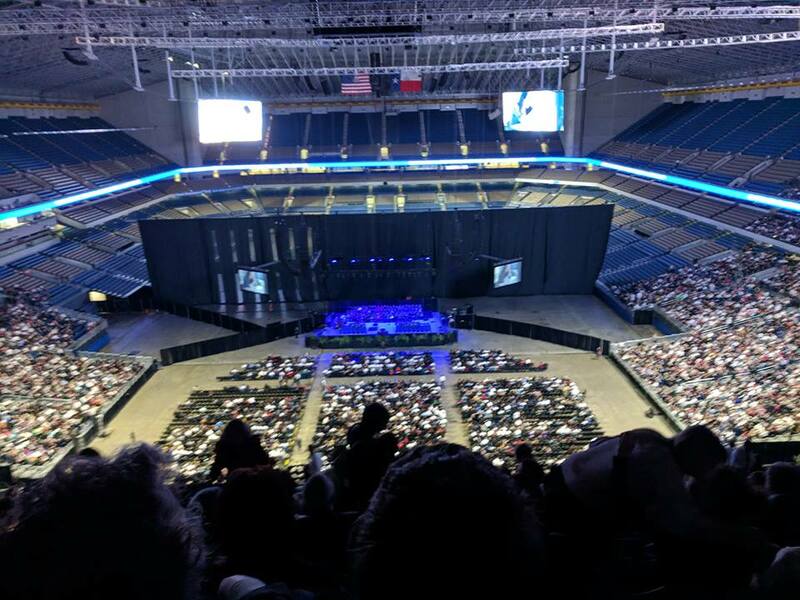 We didn’t want to get there as early as we would have needed to get good seats because that would have been too long for the kids (Abigail barely made it as it was), so we ended up pretty high up. 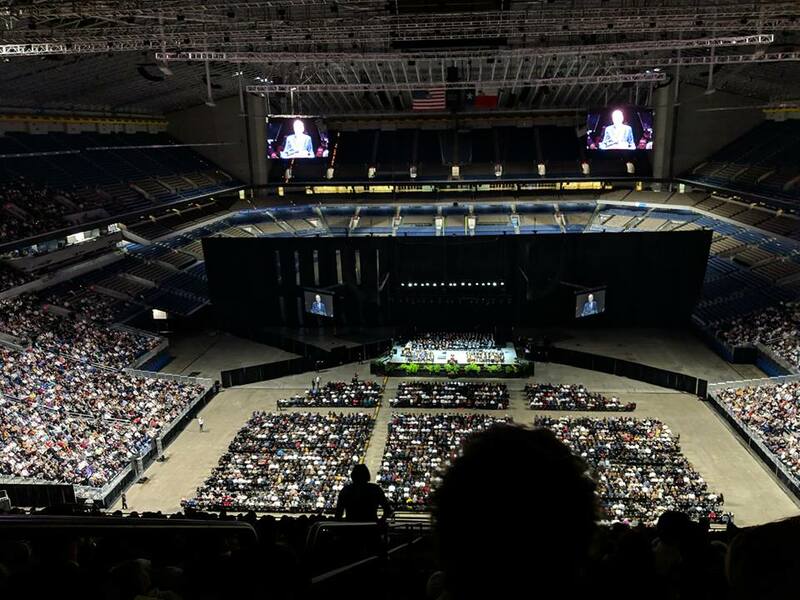 They did have big screens so that we could still get a good view of the speakers and choir. Paul zoomed in a bit to get a picture of the actual stage. A portion of President Nelson’s talk. 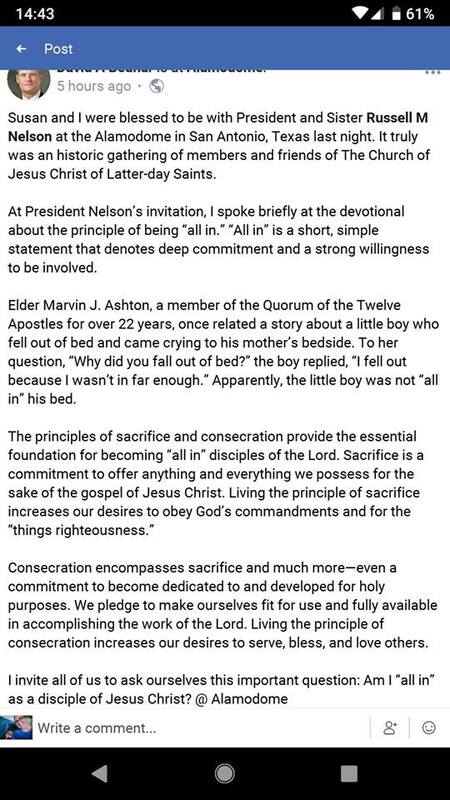 Many of the General Authorities for our church have a Facebook page (that is run by an approved third-party) and this was posted on his Facebook page. 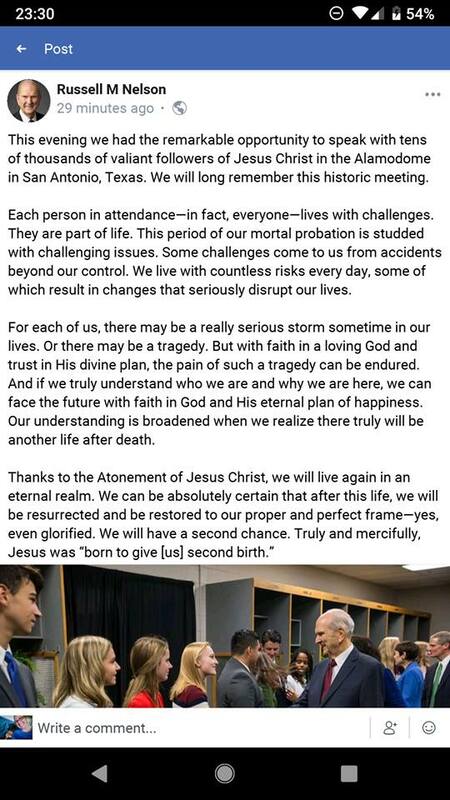 This was a portion of Elder Bednar’s talk. My very first all-from-scratch pie. I was pleased with how well it turned out. 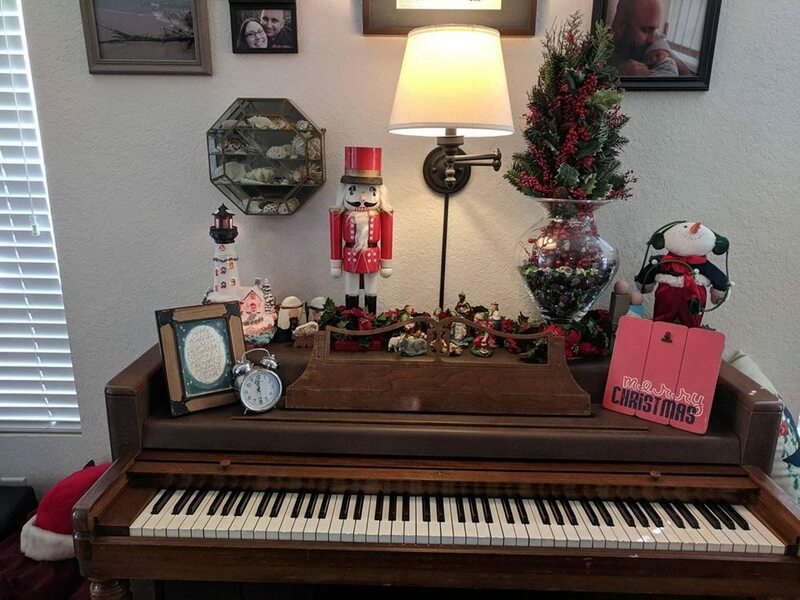 The piano decorations. A lot of childhood memories rest on there. 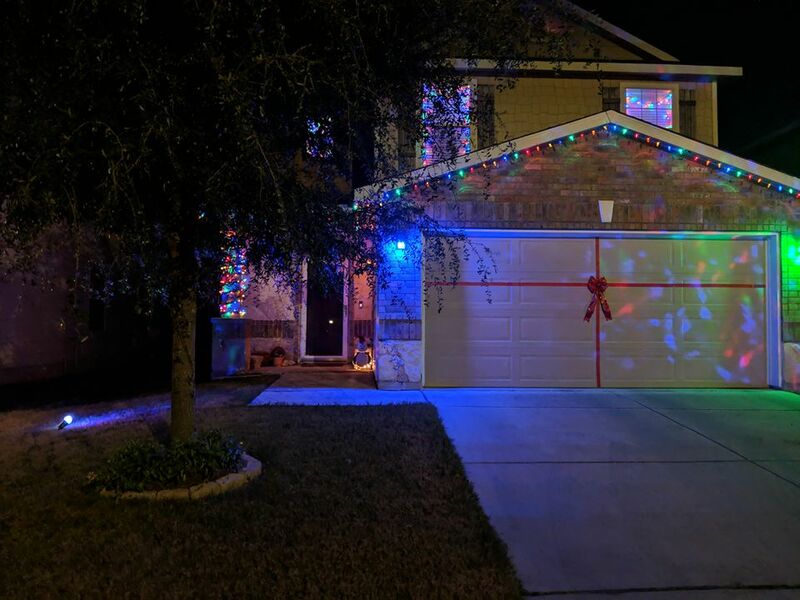 Here’s the house all lit up. I love that Paul does the column as well as the windows that face the street (those he does on the inside. since they’re too high up to do on the outside). 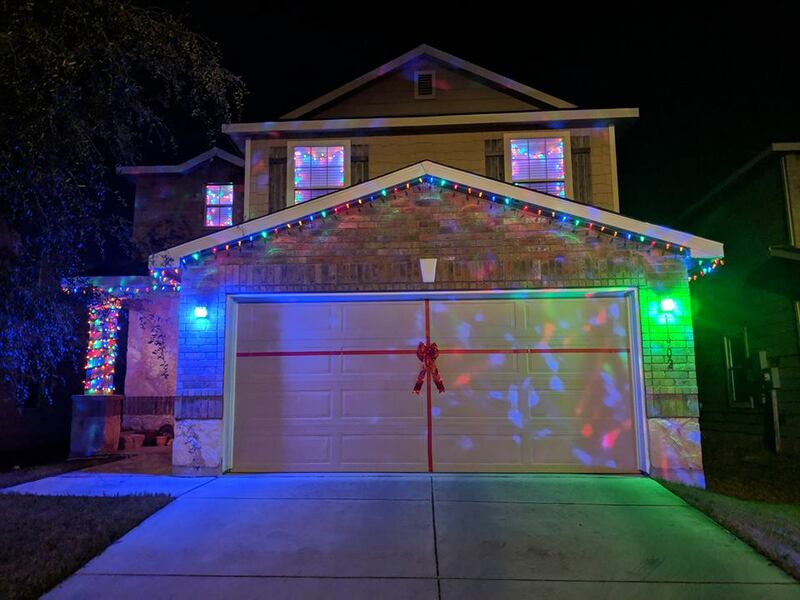 I also love that he makes the garage door look like a giant present. He uses red duct tape and for the vertical line, he makes sure to do each panel individually so that the door can still function. The projectors are fun, too! 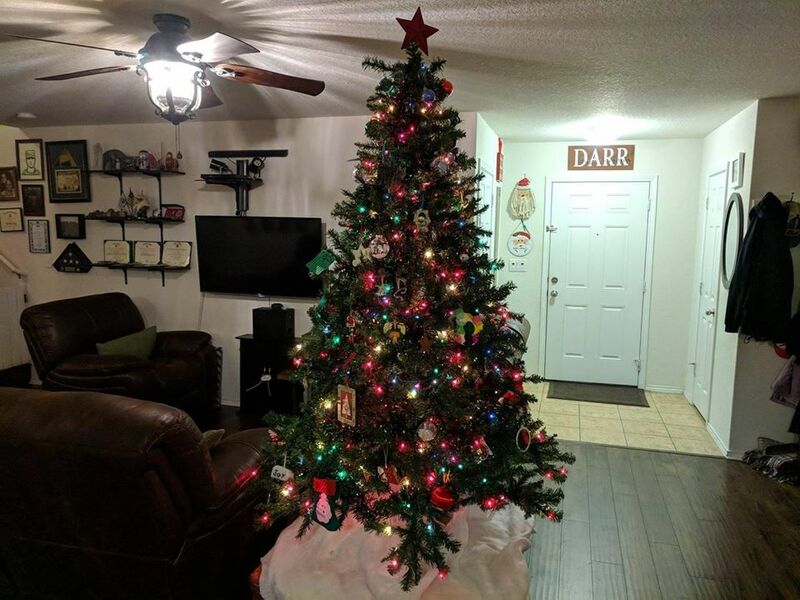 Tree! We made sure to put the (thus far) Abigail-proof ornaments on the bottom part. Paul also bungee-corded it to the table. Checking out the ones in her reach.